Have you ever loved something so much, that you find a number of ways to use it? 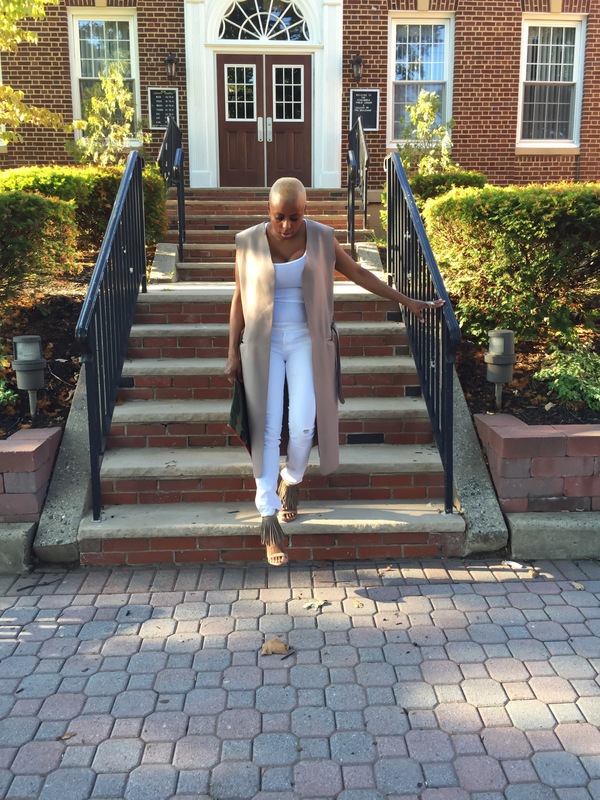 Yeah, these white jeans are one of my favorites and I love to find new ways to style them. There is nothing wrong with repeating your clothing! You pay for things to be used and not collect dust, right? I don’t usually wear the same thing twice in a month, but I do repeat things. I hear a lot of people say they don’t repeat outfits. I honestly think it’s a waste not to. You don’t have to wear your stuff the same every time. That’s the beauty of maximizing your wardrobe. Having things that you can wear more than one way is great! 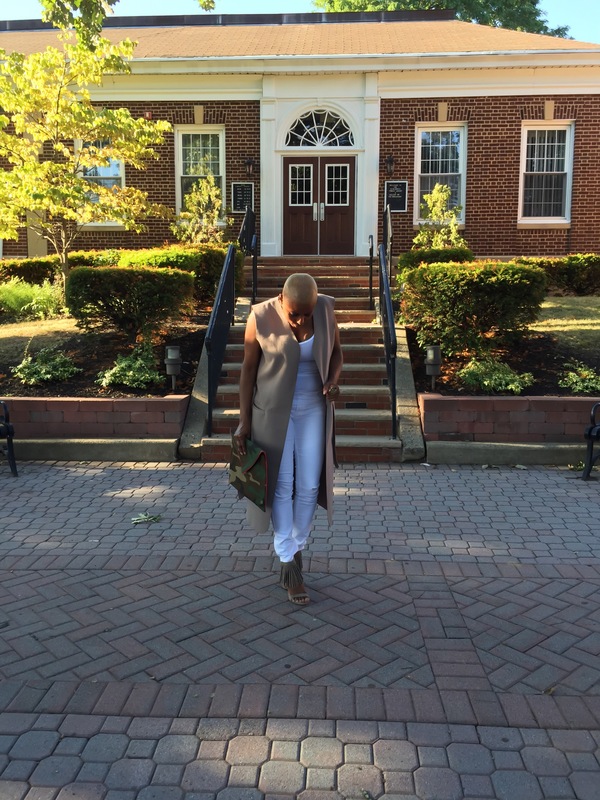 Since fall is approaching, I opted to wear my favorite white jeans with a sleeveless duster and suede fringed sandals! I am making an effort not to purchase anything new and to utilize all the wonderful pieces I already own. 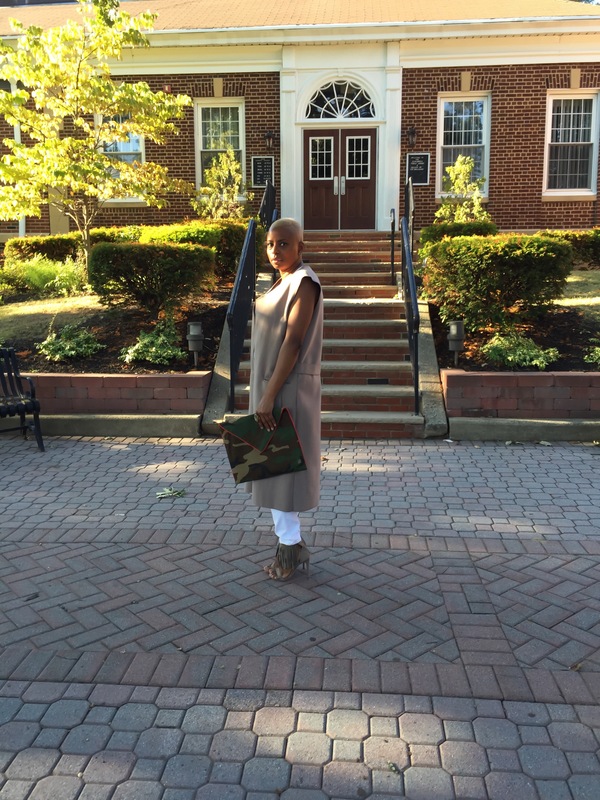 When you have a plethora of clothing in your wardrobe, you don’t need to purchase so much. 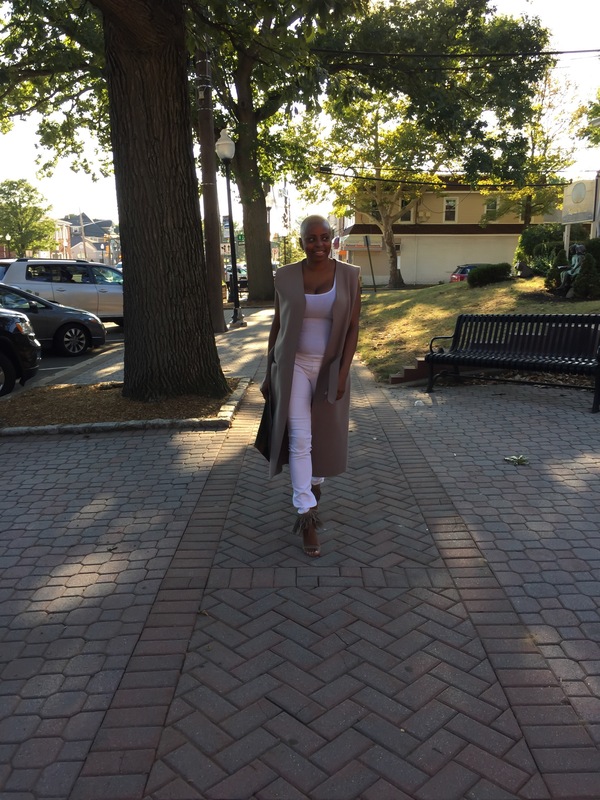 I have been blessed to have a lot, so I am trying to use what I have and not add anything new to my already overwhelming, but very well-organized closets.